The Cabal or powers that be, the hidden hand of influence in our world, is common knowledge within awakening circles. In opposition to this criminal network is what has been called the Earth Alliance. Goode describes in this episode that the Cabal has made many enemies over the years, who have formed a loose framework of cooperation, focused on ending the Cabal's reign of terror. As Goode has described in the past, these groups range from small militias, nations-states, militaries, dynastic families, and so on. What unites them is their desire to stop the Cabal, but from there, division and infighting are commonplace. The Cabal is made up of a similar network of separate groups united under the common banner of enslaving humanity. These groups are constantly fighting each other to position themselves at the top of the command structure. Open conflict between groups has erupted in the past, and contrary to popular belief, the Cabal is not a singular entity or organization. About the only thing they do agree on is that humanity must be suppressed to ensure their illusory power is maintained. The fact that the Cabal can achieve so much despite being comprised of many different competing groups should emphasize the power and importance of unity in diversity. If these criminals can unite to achieve their goals, why can't the awakening community do the same? Over the past 50 years, at least, the Earth Alliance and the Cabal have waged a silent war for control of the planet, but quite possibly groups have had plans in place for much longer than that. Goode shares that the Earth Alliance uses the financial system as one weapon against Cabal-run groups and their assets. For example, the Dragon Families of Asia were defrauded by the Federal Reserve, via their agents, during operation Golden Lily in the early 20th century. Since then, the Asian families have quietly been manipulating markets in an effort to bring about a financial collapse of the western-controlled Federal Reserve System. Part of this is apparently the BRICS and AIIB banking projects, which compete with the IMF and the World Bank in developing nations. 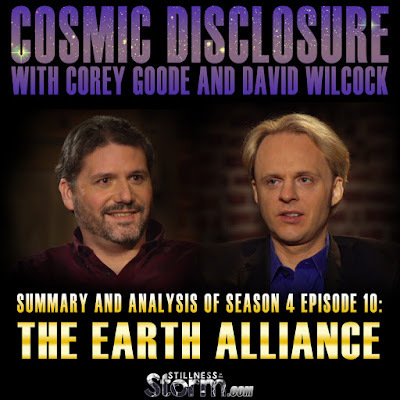 Goode reported in this episode that recent negotiations between the Cabal and the Earth Alliance have suspended a forced implosion of the financial system, which the Alliance originally intended on devaluing to purchase controlling interest in at a reduced price. One of the proposed plans, brought forth by the Earth Alliance, is a revaluation of global currencies, to be backed by precious metals such as gold. Goode and Wilcock discuss how the US most likely has no gold in Fort Knox, and that the current financial system is essentially based on nothing but "ones and zeros,"—digital currencies. As a side note: since the bankruptcy of the US in 1933, all currencies (for the most part) have been tied to the "full faith and credit" of the people in any respective nation. Gold hasn't been used for years, although this has been an industry secret. There are two sets of books, one on the commercial side of world affairs, the hidden books which tabulate what governments owe the people; and overt books which tabulate the reverse. In truth, the people of any nation are actually the creditors, their creative energy backs the financial system via the conversion of promissory notes. When one is born, a trust account or estate is created in their name, and initial deposits of millions of dollars are entrusted to it, which represent an individual's potential creative output. The financial system, at every level, uses these accounts to fund fiat currencies of the world through the issuance of debt (loans) or government bonds, which are IOUs pledged against the collateral of these accounts, the energy of the people itself. This particular topic has been brandished around the internet for years, in less complete forms in most cases, sometimes connected to easy money schemes. Despite this, the validity of the commercial conversion system or the issuance of bank credit by converting promissory notes into debt instruments is well acknowledged. 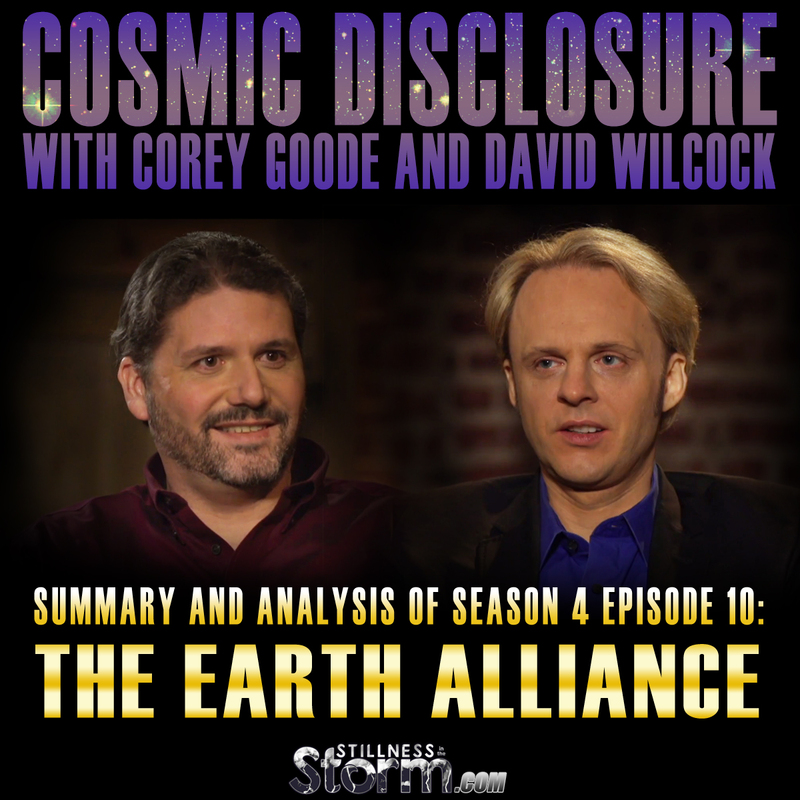 Goode revealed in this episode that at this point the Earth Alliance has agreed to a partial disclosure agenda. He admits that he, and those he represents in the SSP Alliance, are unsure of how the Earth Alliance can proceed with this agenda, given how much information is already available to the public. The Earth Alliance, and presumably the SSP Alliance, have been amassing a huge amount of information and evidence to which will be released to be the public at some future date. At this point, the Earth Alliance is reticent to reveal the data because it also implicates them. Quite possibly the reason why they have agreed to push for limited disclosure is because each group is seeking to avoid the people's justice. 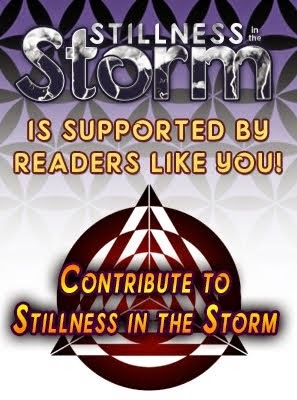 Goode shares that the Cabal and Earth Alliance still have access to advanced weather weaponry, which they both use against each other in a kind of silent World War. He also shared that the Cabal has placed devices near supervolcanoes around the globe. Apparently, they intend on setting off these volcanoes if the Alliance moves forward with any plan that puts them at risk. According to Goode, there are plans for a mass arrest of certain criminal elements, which have been reported by various figures for years. Possibly the reason why none of these plans have materialized is because each party is trying to avoid retribution. Goode says that 9/11 will most likely be part of the process of disclosure, but has no explicit insider information about what could be revealed. For those who have been watching the world stage for years, looking for signs of change, it should be fairly obvious that some level of resistance and covert action is taking place. The fact that the Brenton Woods agreement and BASAL III have been delayed for years suggests that behind closed doors, shifts in worldly power are taking place. From an outsiders perspective, it is difficult to know what, if any, real changes are occurring. Part of the problem is that the alternative media is flooded with half truths, poorly researched stories, and outright disinformation. The revaluation of the Dinar and Dong is one glaring example of hope being peddled to the masses at seemingly no end, which may have had a thread of truth to it at one point. But the fact that so much disinformation and sensationalism exists, suggests that there is something happening. And with a large portion of the awakening community jumping from one hope-filled story to the next, it is very easy for the Cabal to cause the people to lose faith in a valid effort. For when someone cries wolf long enough, eventually, people stop paying attention. The emphasis on resurrecting a new financial system, by the Earth Alliances, in my view, indicates that they have not really come to terms with what true freedom and prosperity are. As Goode and Wilcock discussed with Michael Tellinger, the financial system is arguably one of the most powerful tools of enslavement humanity has ever known. Most people have no idea what money really is or where it comes from, yet they believe without question that we need it to manage life on Earth. For example, a large portion of the awakening community believes that a new asset-backed financial system will usher in an age of prosperity and enlightenment. That having access to lots money will solve most of our problems. And considering that scarcity is pandemic on the planet, providing people with money so they can access some abundance in their lives isn't necessarily a bad idea. But without knowledge about how money really works, it will continue to befuddle and confuse our fellows. In the following two episodes of Cosmic Disclosure, I went into extensive detail about why individuals must understand their true relationship to money, else it will enslave them over a long enough course of time. The Earth Alliance, according to Goode, is focused on maintaining the financial system. Some of these groups want to redistribute wealth to humanity in the form of repayments. And as I said earlier, this may be a good first step. But I suspect that the Earth Alliance knows people will be so distracted with their new bank accounts they probably won't want to worry about who is morally culpable for this planet's present state. In other words, money will be used as a distraction, it will be used as a way to avoid the true solution of changing as individuals to fix the world. The elephant in the living room is that none of the proposals for a new financial system, that I have seen, actually tell the truth about money and where it comes from. Humanity is dazzled and mesmerized by money because they don't really understand it, and this is what makes it so dangerous. Let me speak plainly for a moment. The aforementioned point combined with the Earth Alliance's push for partial disclosure should make it clear that the awakening community can not just sit back and wait for the cavalry to come. The big picture reason for why we've even fallen into this state is that humanity, as a whole, has chosen not to participate in the management of the planet. We've given up our power to politicians, experts, authorities, gurus, monarchs and so many others. We can't grow our own food anymore, we can't educate our children any longer, we can't even maintain proper health, all because we've forgotten how to do these things as individuals and as close-knit communities. The trust we have with each other, the full faith and credit of the human family has been destroyed—this is one reason why money is needed because people can't envision working together without some kind of external incentive. This is a sorry state of affairs for the people of Earth. And now, the same groups we've been hearing about for years, that allegedly have humanity's best interest at heart, have agreed to push for partial disclosure and continue the same Babylonian money magic system that has enslaved us for eons. Thankfully, there is a growing body of people who are developing an appreciation for personal responsibility. It seems the era of empty promises and shallow hope is ending. We finally seem to be losing a taste for these things, and instead, we're doing the inner work needed to actually be the change ourselves. This is one aspect of the Sphere Being Alliance message to humanity that is often overlooked. Again the primary reason the planet is enslaved and all life on it suffers is because humanity forgot about stewardship. Hence, the primary solution to all our problems, as individuals and as a collective, is to gain self-mastery, to reclaim our birthright as custodians of ourselves and life on Earth. 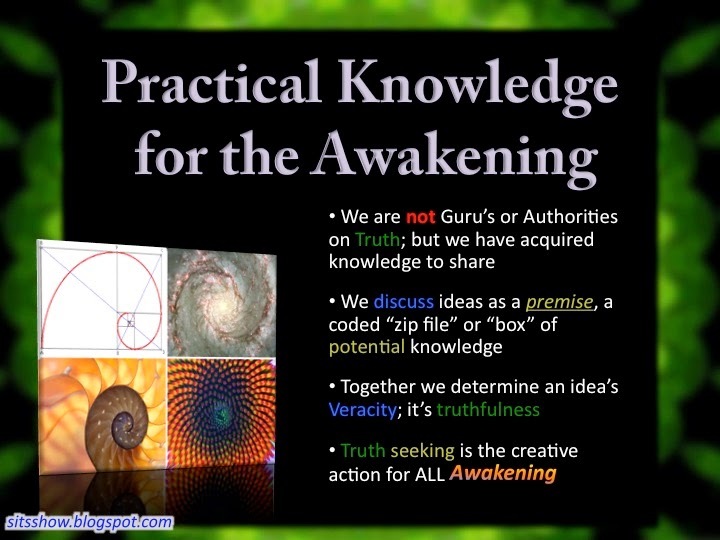 What this means is we must become our own experts and guru's, and in the process develop knowledge that will make deception and manipulation on the part of the cabal impossible. The Cabal and Earth Alliance seem to be working towards a softer form of slavery for the planet. But those with knowledge of the truth about this have the ability to respond (responsibility) and unite. This is what Goode means by a grassroots disclosure effort. As one last point in this analysis, consider that the powers that should not be spend incredible amounts of energy trying to keep us passive and inactive. If even one mind's fully awakens to their true potential, it would be enough to put the whole matrix of control at risk—clearly this is one of the allegories of the Matrix Films. This means our power as individuals is truly unmatched, so don't for one minute think that what you do doesn't matter. If the people stopped participating in the system and formed their own networks to provide for basic needs while working to become abundant within their own lives, we wouldn't need what the Cabal has to offer any longer. In short, we need to heal and work together as a human family again, and in the process realize an age of abundance that will make the current era of "technological splendor" seem primitive by comparison. Corey Goode explains that a large coalition of loosely knit groups have agreed to work together to topple the long reign of the Cabal. The groups which makeup this Earth Alliance can be considered to be syndicates and secret societies. Despite the agreement to work together, each group has its own agenda within the larger framework of the coming full disclosure events. What is currently transpiring can be considered to be a stealth World War III, fought within digital domains and proxy armies. This interview with David Wilcock was originally webcast May 10, 2016. DW - Alright, welcome to Cosmic Disclosure. I’m your host, David Wilcock. We’re here with Corey Goode, the insiders’ insider. And in this episode, I’m going to get into some very interesting stuff with him regarding the opposition to this Cabal: the Earth Alliance, the people who are on the frontlines here on the ground trying to bring about a peaceful society… or maybe not. So that’s one of the things we’ll have to talk about.Corey, welcome to the show! DW - When people start to get into the subject about things like 9/11 online, there’s such a widespread pervasive paranoia, despair, fear, and hatred of the Cabal. Is there an opposition going on to the Cabal that goes beyond bloggers? CG - Absolutely. Every single enemy they’ve created over the hundreds of years, every group they’ve alienated, every atrocity they’ve done to these countries over these hundreds of years, have finally built up to a point to where [the "victims"] all came together… loosely came together. All of them have their own cultural pains and I guess, some of them have different agendas: the retribution they’d like to see exacted on their enemy which we’re calling the Cabal. Others would like to just maybe have a few changes. They think a world government is inevitable anyway and the Cabal was wanting to do it in an evil way. So why don’t they co-opt it and do it the right way? DW - You’re talking about Brazil, Russia, India, China, and South Africa: B-R-I-C-S? CG - Right. They’ve got together and they pretty much created a new “World Bank” and financial system to compete with the Western or Cabal banking system. DW - You’re talking about the Asian Infrastructure Investment Bank: AIIB? Related AIIB Partners with the World Bank, New World Order? CG - Right. Overtime countries like China have been solely purchasing the debt and also natural resources from countries owned by the Cabal as their financial Ponzi scheme has slowly, slowly started to collapse. DW - Now we’ve heard that China is actually holding… It’s not—the official numbers I guess are in the neighborhood of three trillion but the other official numbers are four trillion dollars of US bonds and US debt. That apparently is greatly superior to the wealth that’s left in this Federal Reserve, Cabal-oriented Western world. CG - Well, there’s very little gold left here. There’s a reason why all the big banks right now are buying silver like crazy and stockpiling it. There’s very gold little left in any of the vaults that are supposed <chuckling> to have gold down. DW - What about Fort Knox? CG - Same story. It’s pretty well-known that there’s very little of any gold at Fort Knox. Related Fort Knox is Probably Empty, Gold Missing | Has the Federal Reserve Sold the Gold at Fort Knox? DW - … and yeah, the answer has been, “Well, maybe in a hundred years, we’ll be able to pay you back.” So is it a Ponzi scheme that at this point is just based on printing money out of thin air? Is there any real collateral left? DW - Are you the only one who feels this way? <CG: No> Or are there others in the Alliance who feel this way as well? <CG: Well…> What have you heard? CG - Well, I’ve heard that with the latest negotiations, members of the Alliance are now wanting to come in and not allow the Western dollar and Western the financial system to totally collapse but to get it to the brink of collapse and then move in and buy it at a cut rate and annex it to their new financial system. Everybody has been hearing for years and years now, all the promises of debt forgiveness, jubilee, and money that would be given to people specified to their age, how many dependents they have, and that kind of a thing. CG - And people have heard that so much now, they scoff at it but this is something that is openly discussed in these meetings. So it is a part of the discussions and the negotiations. The reevaluation of all the currencies that is being discussed is very controversial and most of the people do not like it. The poor countries like it because a lot of them want to value all currencies the same. Now that would put the US and even China and other countries at a major disadvantage in trade but that is one of the things they’re talking about: equaling the playing field. We’re talking about changing the value of all currencies to being the same. And a lot of [people] even inside the Earth Alliance, there are groups that do not like that plan at all. They [would rather] want a sliding scale based on GDP and a bunch of other numbers, and [other] information—I’m not an economist, I don’t really understand. I had all this information thrown at me. I don’t understand all the economic jargon but the bottomline, I was understanding. DW - And what forms does that come in? CG - Every form. They’ve got everything from emails, texts, phone conversations, videos, audio recordings… They’ve got satellite imagery of things that different people have ordered in real-time… I mean, they’ve got everything! DW - So it’s entirely possible that members of the U.S. military could be hired to go through that footage and try to pick out the best of the best? CG - Yeah… it would be quite a job with all the data-mining they’ve done to accumulate all of that data. I could see why they would need the help. It’s quite an undertaking to go through all of that. WHY IS THE ALLIANCE SO MYSTERIOUS? DW - Probably one of the most basic questions that people are gonna be asking is, “Why in heck, is this whole thing so mysterious?” Why can’t the Alliance just say, “Hey, here we are. We’re going up against the Cabal. Here’s our announcement. Here’s what these guys are doing” and just start openly to talk about it? Why are they having to keep everything so secret that people even this late in the game, they’re still doubting guys like you and me writing about this stuff online? Why won’t they just come out and say what they’re doing? CG - I would say they’ve pretty much had them coming out and say what they’re doing. The question is why isn’t the Western media covering it? DW - Well, give me an example of how they’re coming out and say what they’re doing. CG - <Short sigh> Russia alone has been coming out with all kinds of information and openly threatening the U.S. with releasing all different types of information that they’ve gathered including—you know—9/11. CG - They’ve threatened to bring forward proof that 9/11 was either an inside job or that the US knew it was going to happen and sat back and did nothing. There’s quite a bit going on that Western media is not reporting or they report in a tongue-in-cheek way. DW - Well, do you think that at this point the Cabal still has such a control over the world media since their television networks are worldwide? The movies go worldwide. Do you think that they can both create propaganda very easily that defeats any Alliance initiative and that they can furthermore kill anyone who starts trying to speak out from the Alliance at this point? CG - They have a waning control. They used to have a complete control but the Alliance—the Earth Alliance group—you’re starting to see more and more interesting content pop up that normally the Cabal would not approve to be on television: you know, different movies… the list would go on and on. [Captain America Winter Soldier is one example.] So yes, they did at one time have full control of this media, but obviously that control is slipping. Their control over everything is slipping. So we’re going to see more and more of this information coming out. CG - Now the big thing that has been going on in the secret negotiations between the Earth Alliance and the various Cabal groups is [about] how to release information. And they’re pretty much in agreement to release information in a slow manner. The main reason they want to release information in a slow manner is that a lot of the data that has been accumulated that we were just talking about is damaging to both sides because both sides have done criminal things in the past. There are no clean hands in these negotiations. DW - You told me in private conversation that Gonzales has said to you that in the future this struggle that we’re in between the Cabal and the Alliance right now will be seen as World War III. CG - A stealth World War III. DW - A stealth World War III? DW - So how do you get a world war without any open, obvious invasions or major military conflicts going on? CG - Everything is being fought through digital means, through hacking, cyber warfare. It’s being fought through proxy armies such as the Cabal using organizations they’ve created like ISIS and al-Qaeda, and through a financial war that’s going on. It’s something that could very easily spike into an open, hot conflict in certain areas, but this has been an ongoing, stealth world war for a period now. Gonzales basically said history will look back on this time as a different type of world war, and this will be [described as] a stealth World War III. DW - What about the idea of natural disasters and weather being involved in this war? Are there technologies that you’re aware of where weather can be manipulated as part of fighting this war? CG - Both sides have weather modification and it was heavily being used in open warfare against each other. That’s slowed down some. They’re still using it but it slowed down during the negotiations. DW - What would that look like? What would we see in the news that would be an example of this war being fought? CG - Well, with the weather modification wars, you change air streams that pull moisture out of [the target] area, dries up the breadbasket of [that] region that grows all of [the] food, you know, that type of thing. Or, [the weather weapon] inundates you with hurricanes or heavy rains, which can then lead to other natural disasters cause you to declare a national emergency and put all your assets and focus on that problem. DW - One of my favorite ones was when the South American Alliance first convened, they declared that Chile was going to be where their headquarters would be. And on the day that Chile was supposed to start their role as the headquarters of the South American Alliance—it was never recorded in the Western media—the day that Chile starts as their headquarters, they had this massive, massive earthquake. So are you aware of earthquake-making technology as well? Could these earthquakes be part of it? CG - It’s the same technology, yeah. DW - Yeah, so you’re saying both sides use this against each other? CG - Absolutely, and that’s not the extent of it. [The] US Navy, many years ago, discovered super volcanoes that are below the ocean. And those have been kept secret for some reason. DW - [It’s] similar to what we hear about with the whole Yellowstone caldera? And so there are still a lot of very tricky negotiations going on down here and these are going on right now. They’ve been going on for months and months. And they’re working on a consensus of what they’re going to release data-wise. At this point, they agree that a partial disclosure is where we should go and that humanity should be slowly acclimated to the greater reality of our true existence and receive a slower rollout of some of these advanced technologies. IS THERE A MASS ARRESTS PLAN? DW - Is there a plan for a large number of people to be arrested at once? Does it have to be that way in order to prevent them from escaping? How do you think this whole thing is going to play out? CG - Well right now, I don’t know. There are going to be arrests and prosecutions but the extent of which depends on these current negotiations. They’re obviously going to go after the people they hate the worse in the Cabal. But, you know, we use the analogy, 'how are they going to just let part of the genie out of the bottle?' And I think they’re trying to figure that out right now. CG - They’re not going to let these groups that have raped and murdered the planet get off scot-free. But elements within the Earth Alliance also do not want to have people hanging from lamp posts from the streets. There are a lot of groups. There are a lot of different ideas among the groups in this Earth Alliance. For them to reach a consensus, it’s going to be difficult. And then for them to negotiate with members of the Secret Earth Government Syndicate [who] are coming to the table to negotiate because they want out too—they’re ready for it to be over too—they have quite a distance to bridge before they get to where they want to be. And that’s going to give us in the community time we need to get a grassroot effort going to demand full disclosure and the full truth. MEDIA PARTICIPATION IN DISCLOSURE EXPECTED? DW - Do you think that the controlled media could be given new marching instructions once this takes place? What will media look like in the aftermath of some kind of—if the mass arrest thing happens as an example? DW - Now some people who watch this show and are into this might be aware that laws have been openly passed in the U.S. They did it during Christmas while everybody was having dinner and happily [spending time] with their families. It’s openly now a law that the U.S. government can seize all of your assets in the bank in the event of having a financial crisis. CG - Right. <DW: Is there…?> All deposits legally before that, that already were legally owned by the bank. When you take your money and deposit it at the bank, it is legally owned by the bank. That was before that event. When I worked at the Federal Reserve, that was explained to me, and that was in 2008. DW - Yeah, so if the U.S. government faction of the Cabal gets in trouble, are they going to actually try to do that? Are they going to try to take people’s money out of the bank? Could there be a period of time [when] no one can access their money or their bank accounts, so they’ve been basically deleted? CG - That’s been their plan all along. Whether that actually occurs or not, I am not positively at this point. A lot of what I thought was going to happen is up in the air right now because of the current negotiations. DW - Or does the Alliance have contingencies in place in case the Cabal temporarily tries to say, “Oh, you don’t actually have money in the bank. It’s all ours”? CG - Depending on the plan, some people would lose what they had, and some people would gain something that they didn’t have. Like, maybe, if they rented a home for ten years, that belonged to a person [who] was a real estate investor [who] had fifty homes, that home might be deeded to the person [who] had been renting it or a property. These are all the types of things that they are negotiating and discussing. It’s incredible! So I mean, it’s all up in the air, and every contingency, they have a plan for. But how things play out are yet to be seen. DW - The Alliance is not as shaky as some people might like to believe, correct? I mean, if we have a significant part of the U.S. military and intelligence apparatus involved in this, this is a very significant operation we’re talking about. CG - It’s a significant operation with a large coalition of loosely-knit groups, some of which are syndicates, secret societies from the East. Some of them are groups that the news here will tell you are foreign criminal organizations, so it’s a very complex topic. The organizations are loose-knit and not all of them have the same… I guess, values or agendas. And you can see how much of a mess it is in the midst of these negotiations right now. DW - Are we now talking about a majority of the world that in in the Alliance compared to the Cabal? How much of the world do you think the Cabal still has some control over? CG - The majority of the world is not controlled by the Cabal any longer, but the Earth Alliance, quite a number of the groups have been infiltrated by this Cabal group. So [this is] also is a very tricky question. DW - Do you think that 9/11 truth is going to be an element of what happens as the Alliance makes its move, one way or the other? Related 9/11 was Stranger than we could have possibly imagined! Dr. Judy Wood at New Horizons - Where Did The Towers Go?? DW - What do you think people are going to hear? If you want to make a prophecy at this point, <smiling> put it on camera before this has actually happened. What are some of the things that people might be told once this all unrolls? CG - Well, like I said, I have no inside knowledge of 9/11 but I think there will be told the details behind 9/11, the truth behind of who planned it, who executed it, and who knew the details of the operation after it was executed. And that would be shared and the obvious outrage among the people who wants us to be tracking these individuals down and hanging them from lamp posts. DW - Since we only have a couple of minutes left now, someone watching this might feel like they want to help this process come about. We’ve had, for example, militia groups saying, “Just tell us what to do when the time comes. We’ll go where we need to go,” which obviously is kind of a violent thing that we don’t want to be involved in. Should people be grabbing guns and trying to shoot people? <CG nodding no>I mean, what can they do? What should be done and what shouldn’t be done? CG - They’ve tried to foment racial tension. DW - They, the Cabal? CG - The Cabal, they’ve tried to foment racial tension. They’ve tried to foment tension between patriot groups and the government. They want that to happen so they can declare martial law. <DW: Right> Don’t play into their hands. You cannot get, as I say, a positive from a negative. As we’ve stated over and over, it’s going to take all of us coming together and forming a grassroots movement, having uncomfortable conversations with people [who] will look at us like we’re crazy, and begin to educate people now. DW - Alright, well you heard it here. I’m very much looking forward to this coming out in the open. I’m sure you are too. This is Cosmic Disclosure. I’m your host, David Wilcock, and I thank you for watching. Click here for a Summary and Analysis of Season 4 Episode 11.